270 bis) and an attack for terrorist purposes or subversions (Article 280). which prisons the comrades are locked up. against the constant deterioration of working conditions. courage and determination. Precious comrades. struggle pays off. Freedom for those arrested in Turin and Trentino”. and not leave the prisoners alone! also arrested six anarchists. A seventh person is still being searched for. (destruction inside, bricked up windows, etc.). follow in about 15 days, i.e. on about 27 February. free but have to report daily to a police station (as of 13 February). demonstrators and the injury of four. day when responding to letters. A question for men in our community….Why are we being such creeps? need to call out the people who act this way, or think this is ok.
been oppressed, then please lose my address. Found guilty of ‘conspiracy to blackmail’, Debbie is the latest in a line of people persecuted for campaigning against the notorious animal testing lab Huntingdon Life Sciences, where 500 animals are killed daily. As part of the ‘Blackmail 3′, there are two more defendants currently awaiting a possible extradition from Holland to face trial. To find out more about the case and how to support the other, visit http://blackmail3.org. Debbie was found guilty, despite the judge not finding her guilty of any actions herself, with Michael Bowes QC, the case prosecutor, stating “there is no evidence that Ms Vincent was present at the scene of any of the attacks, or incidents in Europe. There is no evidence that she was outside of the United Kingdom at the time of any of these attacks”, whilst the Met Police deployed an undercover officer, posing as a private security manager, as part of a sting operation to implicate her in acts she had no involvement with. Anarchist Black Cross Melbourne will be screening the documentary “If A Tree Falls” at the Horn Of Plenty community centre 659 Plenty Road Reservoir at 7.30 on Wednesday 11 June as a fund raiser for Marie Mason. 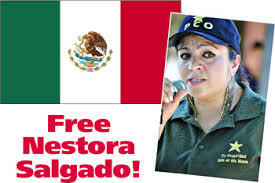 In two broadcasts on Prison Radio—which is carried by over one hundred radio stations—Abu-Jamal explains the case of indigenous leader Nestora Salgado who is a political prisoner in Mexico. He also reads excerpts from her October message to students protesting the disappearance (and now presumed death) of 43 of their classmates in Ayotzinapa in the state of Guerrero. Mumia Abu-Jamal is an internationally renowned journalist, author and activist from Philadelphia who has been in prison since 1981 when he was framed for shooting a police officer. He spent decades on death row, but his sentence was reduced to life in 2011. Despite overwhelming evidence of his innocence, prosecutorial misconduct and police coercion of witnesses, he remains imprisoned in Waynesburg, Pennsylvania. He is known as the “Voice of the Voiceless” for his award-winning commentaries. Prison Radio broadcasts the voices of prisoners. They were recently targeted by Pennsylvania Governor Tom Corbett, who signed into law SB508, which prohibits prisoners and those formerly incarcerated from speaking publicly, a piece of legislation meant to silence Mumia Abu-Jamal. Find out how you can support Prison Radio’s lawsuit to overturn this attack on free speech at PrisonRadio.org. The September disappearance of the 43 activist students from Ayotzinapa, Guerrero, has led to nationwide protests and renewed calls for the release of Salgado and other community police framed and imprisoned on charges that have no legal standing. The governor and key political figures in Guerrero have been forced to resign due to their role in the kidnapping of the students and protesters are now calling for Mexican President Peña Nieto to step down. Now is a critical time for human rights activists to press both the U.S. and Mexican governments for Nestora Salgado’s release. 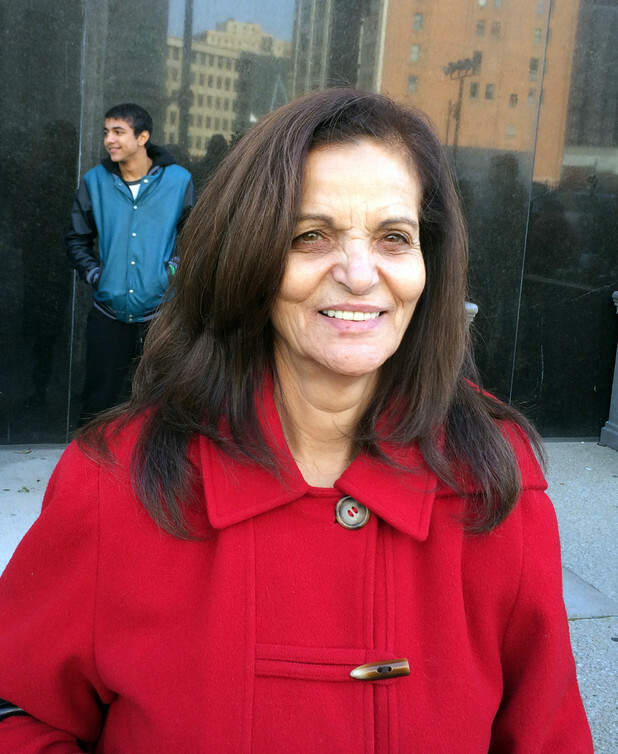 In the sixteen months since she was illegally arrested, the U.S. State Department has yet to contact Nestora’s family or make any public statement about her incarceration! For more information and updates, please visit http://www.FreeNestora.org. Copyright © 2014 Free Nestora Salgado, All rights reserved.